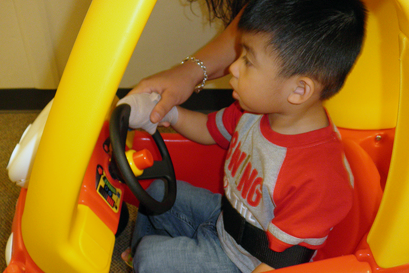 The Medical Therapy Program (MTP) is a coordinated program of medically necessary physical therapy (PT) and occupational therapy (OT) services provided to medically eligible children. 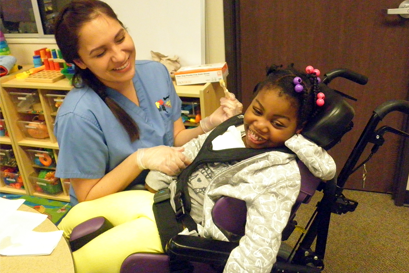 These services are provided in Medical Therapy Units (MTUs) located at certain public schools. 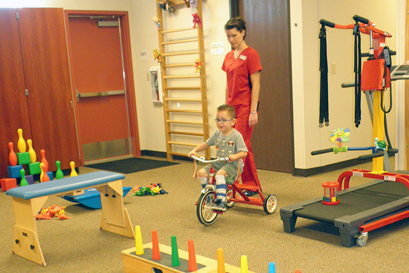 PT and OT may help your child to be independent in such areas as getting around, getting in and out of a wheelchair, walking, feeding, dressing, staying clean and neat, and home skills. There is a separate evaluation by the Medical Therapy Team (the doctors and therapists who specialize in treating children with physical disabilities). The team decides if your child would benefit from MTU services and the team meets with you to discuss which services would best meet your child’s needs. The team can prescribe medically necessary PT or OT, as well as durable medical equipment, and any other medical services. These services are often given in the MTU. However, they can also be provided by your child’s health maintenance organization or your child’s health insurance provider. Not every CCS client is eligible for MTP services. Eligibility for the MTP is different than for the CCS program. Residential eligibility for the MTP is the same, but medical eligibility is different. And there is no financial eligibility. In other words, any child who is medically and residentially eligible for the MTP can receive PT and OT at no cost to the family. Two groups of children are served in the MTP. Children with a neuromuscular, musculoskeleton, or muscular disease. Examples include, but are not limited to, some types of cerebral palsy, poliomyelitis, myasthenias, muscular dystrophies, osteogenesis imperfecta, arthrogryposis, rheumatoid arthritis, amputation, and contractures resulting from burns. Children under two (2) years old who have certain neurological findings that suggest a high chance that they may have a physical disability that is eligible for the MTP, but now do not have symptoms. For more information, please call 909-458-1637.